If you own a big rig, this site is for you! BigRigDestinations.com is your new resource for information on Class A motorcoach resorts and campgrounds. This site lists luxury resorts and their high class amenities, as well as special discounts and offers. Please make sure to bookmark this page and return as we will continue to expand our site by listing more resort locations and posting exclusive discounts and limited-time offers for you. If you are looking to travel in style and comfort, we will probably have just the right resort for you. Thanks for visiting! See our featured big rig resorts and destinations. Read the Big Rig Destinations blog here. Do you want to know where to park your RV during your next vacation? The Dell RV Resort is located in the Apple Valley, a growing community located on the river between Pigeon Forge and Sevierville, Tennessee. 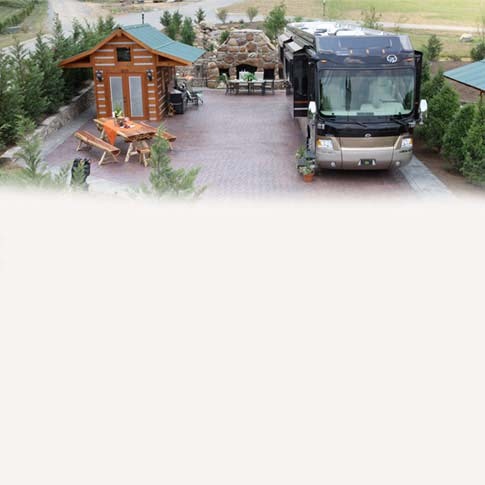 The Dell RV Resort is near local attractions and Gatlinburg, Tennessee. Lot for sale! Located in South Florida, amenities at St. Lucie West include a 9-hole golf course located near the PGA Golf Club, swimming pools, and nearby beaches. * Adobe Acrobat Reader is required to view the coupon.